Reliable information and color quality software solutions for Print Industries. With SPOT_Gravure application, a basic Eye-One Pro or Eye-One Pro2 costing less than 1000 US$ replaces quite advantageously the best and most expensive proprietary pressroom spectrophotometers, for all your color printing applications involving spot colors and/or N-Colors printing. As for basic CMYK printing, there is no standard print density for special inks: your ideal spot colors or special primary inks densities are the ones allowing best possible visual match with your target solid colors. They depend A LOT on the ink brand, ink reference, ink batch and the paper reference and batches you are using! For each ink of your special print process, SPOT_Gravure application allows very fast, easy, and accurate computing of its optimal print density, plus the appropriate printing form correction curve, in order to match your target colors, not only on solid colors, but also on all N-colors screened tones. SPOT_Gravure application allows you as well creating your own N-Colors print standards with an unlimited number of primary inks and spot colors. SPOT_Gravure have been widely validated for high-end N-Color printing packaging applications, including 7 Colors printing (CMYK + Orange + Green + Violet), using wet offset, UV offset, gravure, and flexographic print technologies. You should install SPOT_Gravure application on each printing press for replacing obsolete pressroom spectrophotometers, in order to check your special process inks and spot colors optimal densities at each press setting. 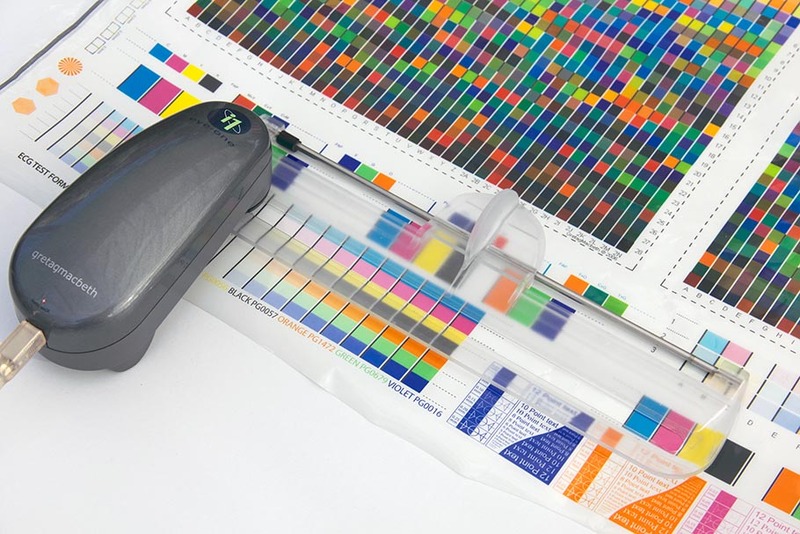 Do not stay in the dark: Colorsource applications bring the best solutions to all your prepress and press-room quality issues, and with using an inexpensive basic Eye-One Pro or Eye-One Pro2 spectrophotometer.